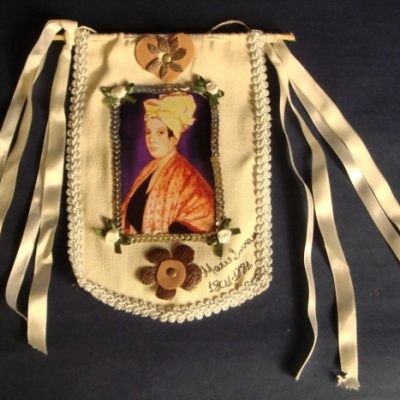 This portrait is one of the most accurate depictions of Marie Laveau, and is commonly used by many sources. 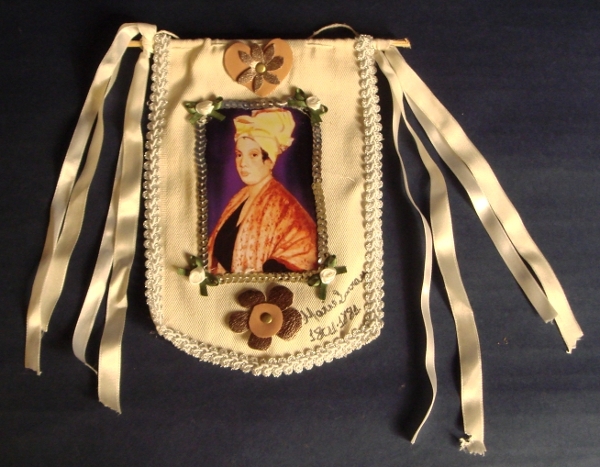 These devotional banners are hand-made and laced with various colors. Also available with the same image on a simpler, heart-shaped background. Perfect for altars and ceremonies or celebrations in her name. Small Banner 7".